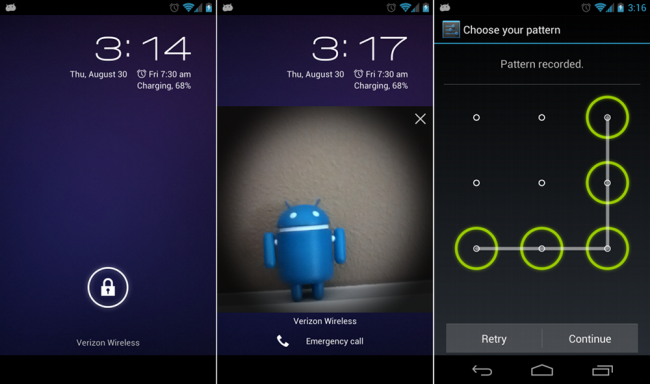 The lock screen on your Android phone will forever be your most visited screen. Every single time you turn your phone on or wake it up, you have to do something at the lock screen. For some, a simple slide of the lock icon will unlock your phone, but for others, a level of security is required. This is a quick tutorial on how to change to the various lock screens, so that you can keep your phone secure. 1. 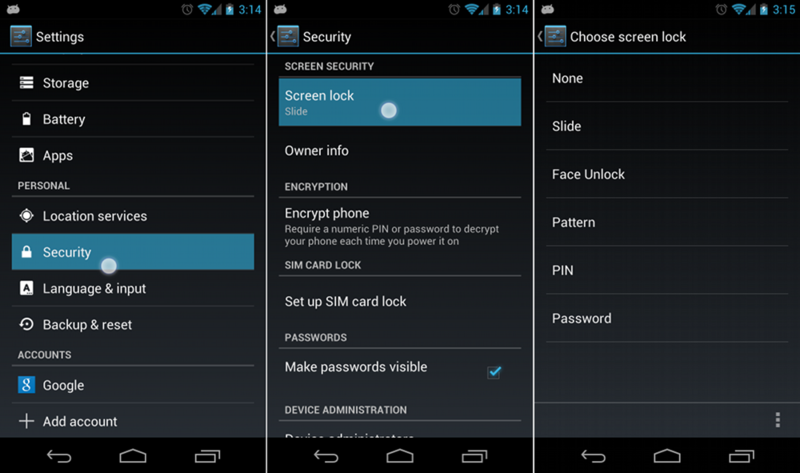 From your home screen, enter into Settings>Security>Screen lock. 2. From here, you can choose a lock screen option. Slide: The least secure. With this option, you can slide the lock to the right to unlock your phone, to the left to jump straight into the camera, and up (on Jelly Bean devices) to access Google Now. One of the major benefits over the others, is that it allows you to check your notifications without having to unlock your device. None of the others will allow you to do that. Face Unlock: This lock screen allows you to unlock your device by having it recognize your face. It’s not the most practical option, but it is fun to show off to your friends. If it has trouble recognizing you, you can choose a backup option such as a Pattern or PIN unlock. Pattern: This lock screen allows you to set up a pattern that is required in order to unlock your device. PIN: This is exactly as it sounds, you get to set up a pin number to be entered to unlock your device. Your pin has to be at least 4 digits long. Password: Like the PIN method, you instead enter a password which can contain both letters and numbers.